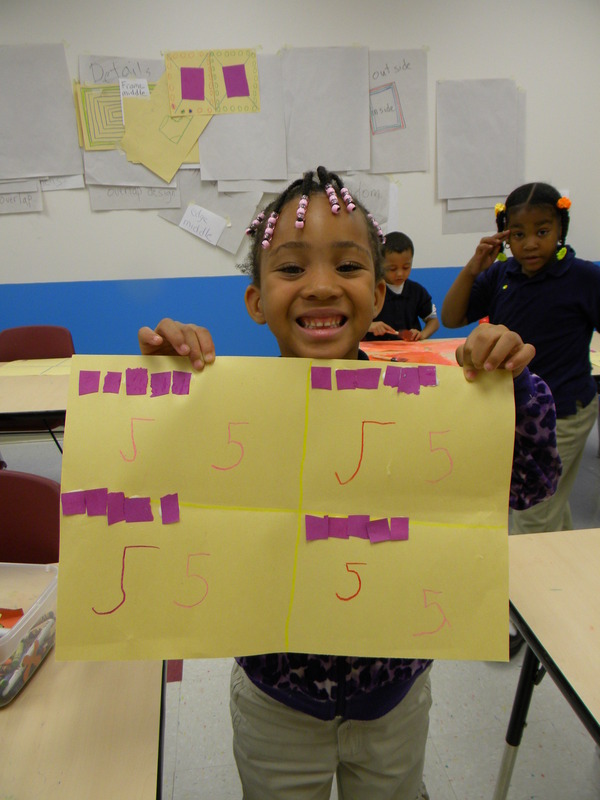 A young student working with the number 5. It’s interesting how she arranged it just so. Boxes on all four corners and the 5th one, at the top and in the middle. Some children come hardwired for precise arrangements at a young age. 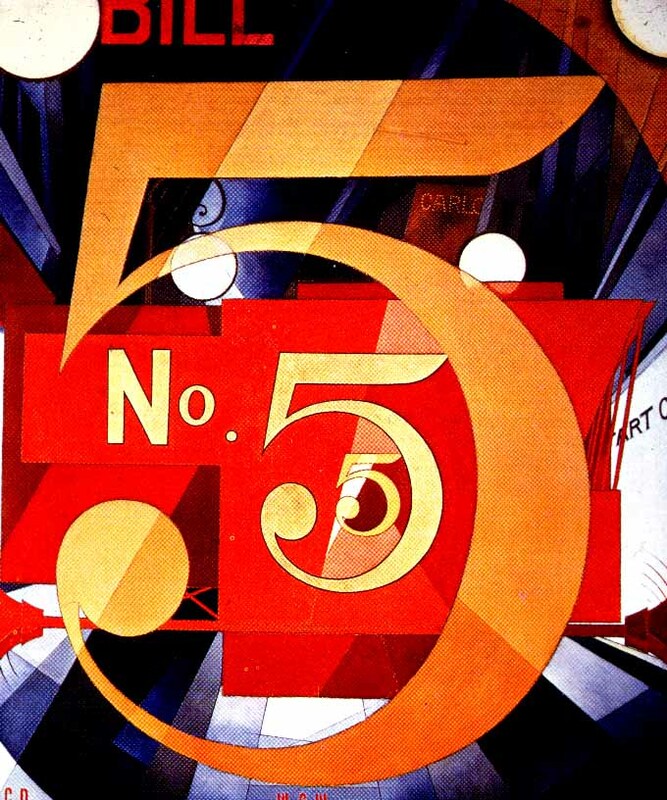 This is the classic C. Demuth painting incorporating the number 5 I showed the students. This art lesson is not what I would consider to be high in the order of aesthetic concerns, but educational, none the less. Examine one or more cultural and historical artworks and respond to the visual, expressive features in the work. Recognize that people from various times and cultures create works of art to be looked at, valued and enjoyed. create and communicate personal meaning. 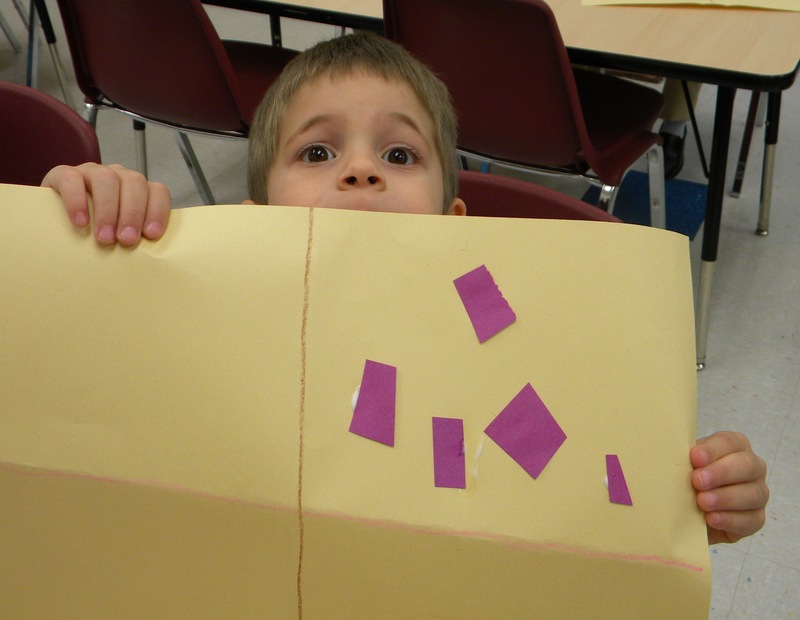 Ask the students, and they will say something to the effect of, “we got to use glue and scissors”. It sounds easy. 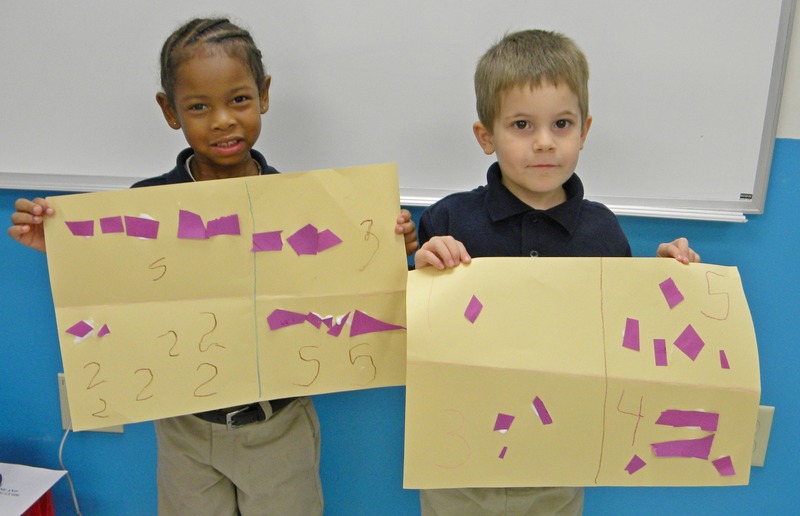 I have my K and first grade students fold the paper the long and fat way. 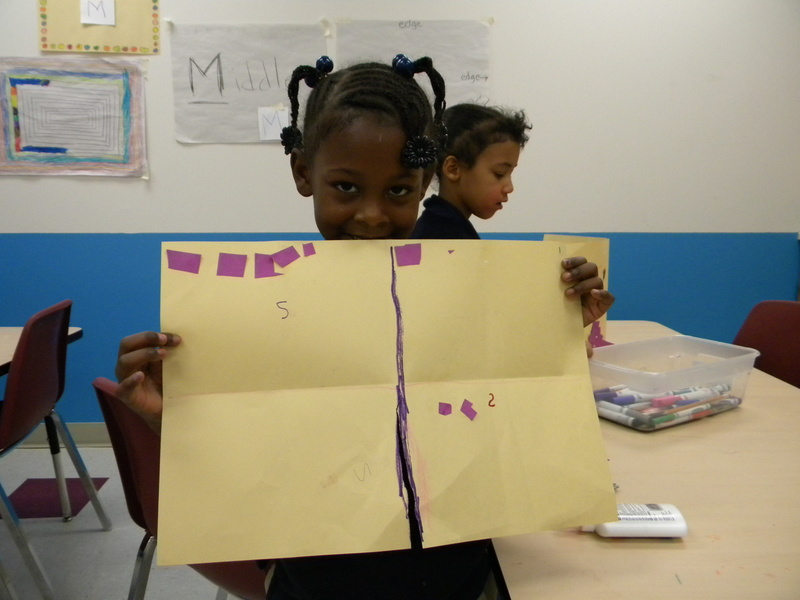 Then trace the folds with a crayon. This divides the paper into four quadrants. 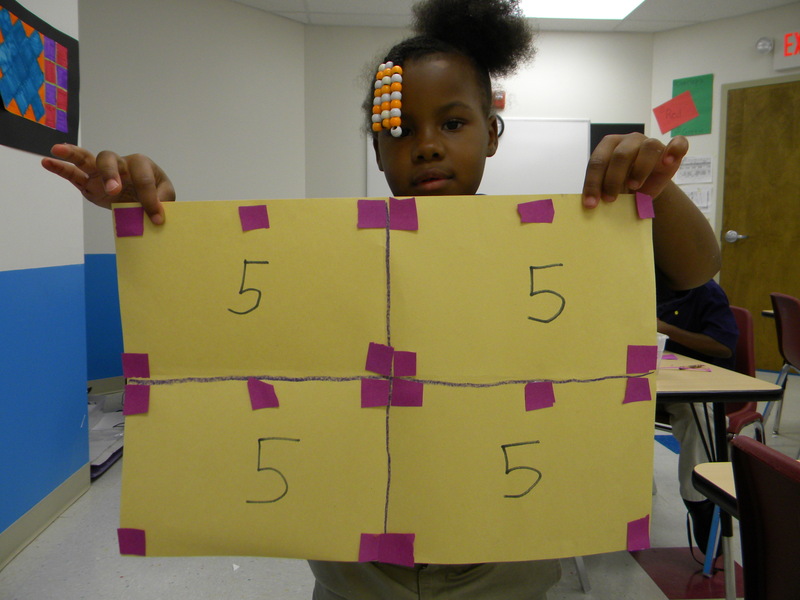 Cut five pieces of paper and glue them down into one of the quadrants, write the number, and then it’s onto the next quadrant with the next number. 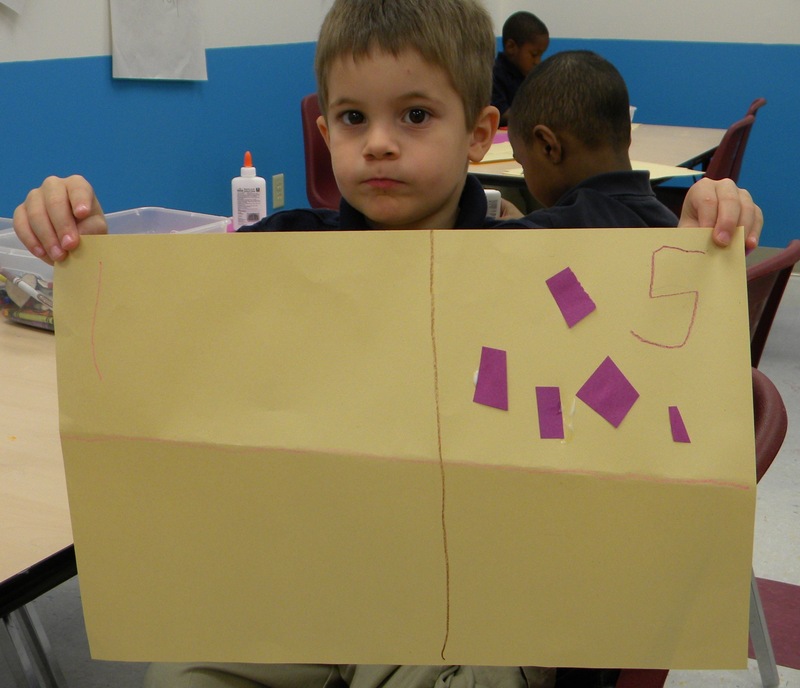 In this class we were working exclusively with the number 5 and attempting to count by 5. Students enjoy learning and making things, look how proud she is of her work! All I had to do was set some stuff out. Another nice shot of the idea. cut paper glued down and the appropriate numbers written. Both of them had the lesson pretty well figured out. The written numbers, the concrete, pasted on examples, paper divided into 4 quadrants, and all the gluing and cutting, I couldn’t be any happier. Lots of ways to experience the “five”. 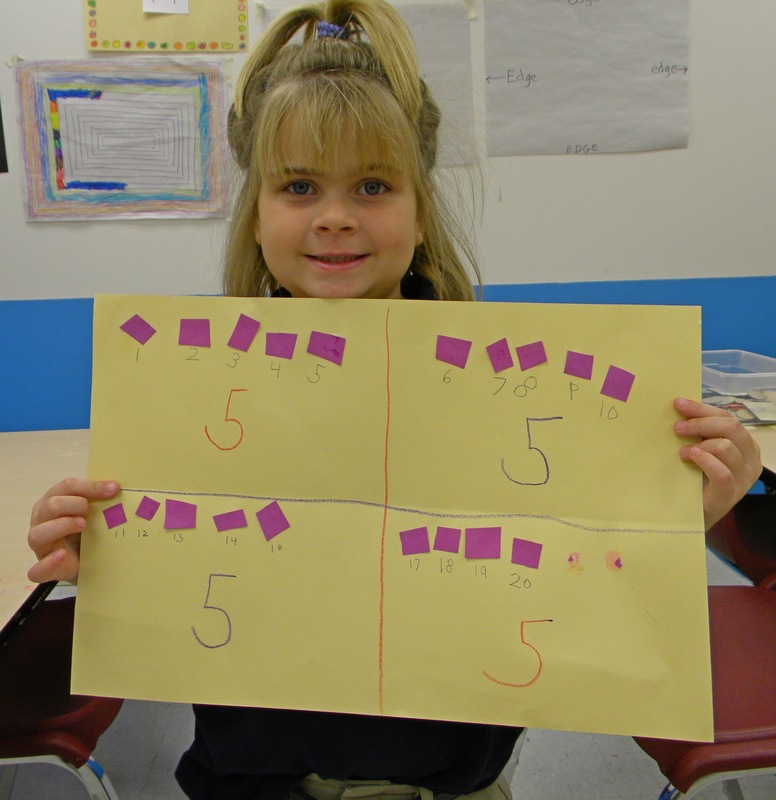 Here is a finger painting to illustrate the students’ understanding of 5. As to assessment guiding instruction: it looks like the student understands the concept of 5 things but is writing 5 backwards. I will review, reteach, and re-assess tomorrow. 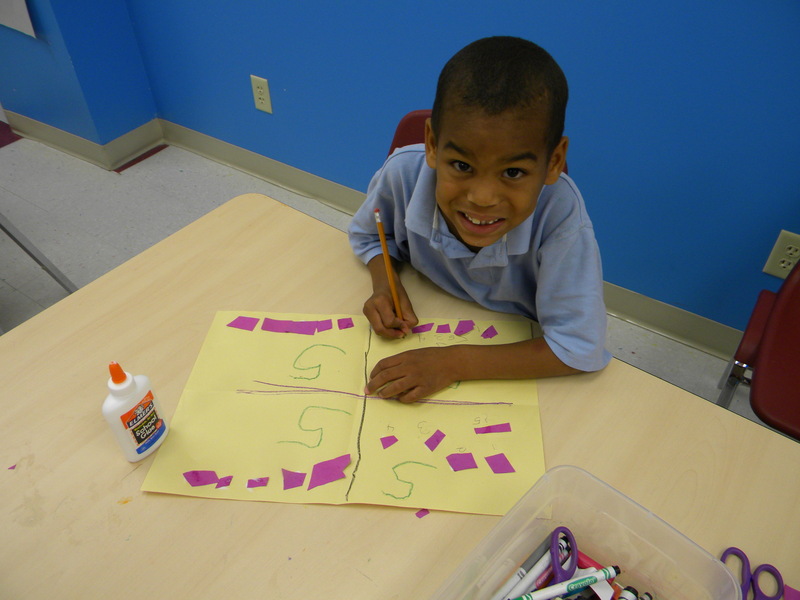 Below is a quick video of students identifying how they arranged their shapes. We had worked on the concept of random and orderly last week. I was heartened to see they remembered. We did not just stick to representing the number 5. 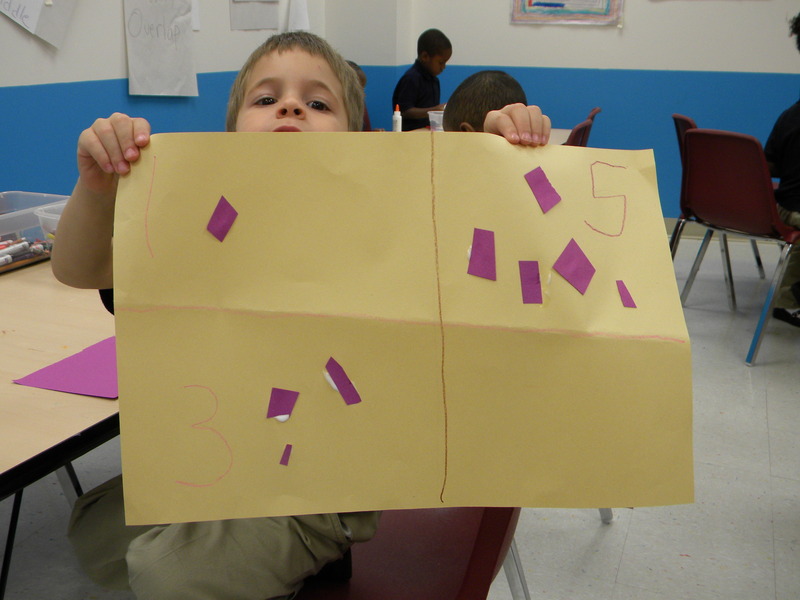 We also represented other numbers. 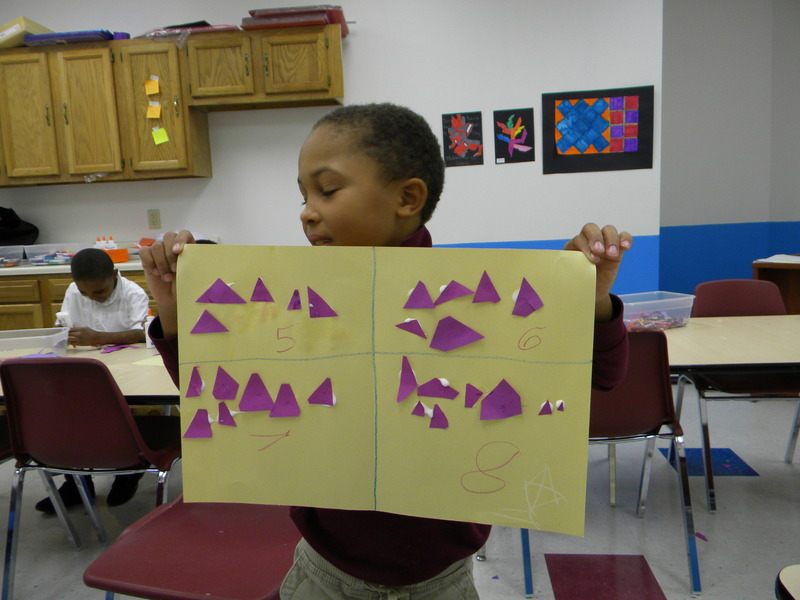 In this 1st grade class we also worked on cutting triangles and graphically representing the chosen numbers. Still folding and marking paper into halves and then fourths too. 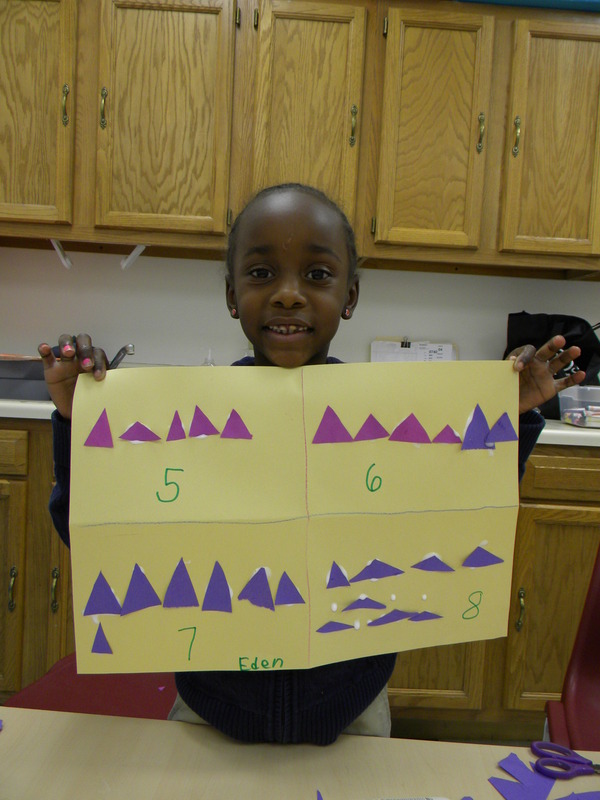 Another great job done of graphically representing numbers with triangles. Folding in half, marking paper into fourths, cutting triangles, gluing, writing numbers-we covered a lot in 40 minutes.